A baby quilt for an expecting music teacher. I bought the only music fabrics at the 2 stores I visited, embraced the black and white idea and found a pin on pintrest and away we go! Why yes, I did just finish painting the front hall and adding these hooks. Don’t they look swell? 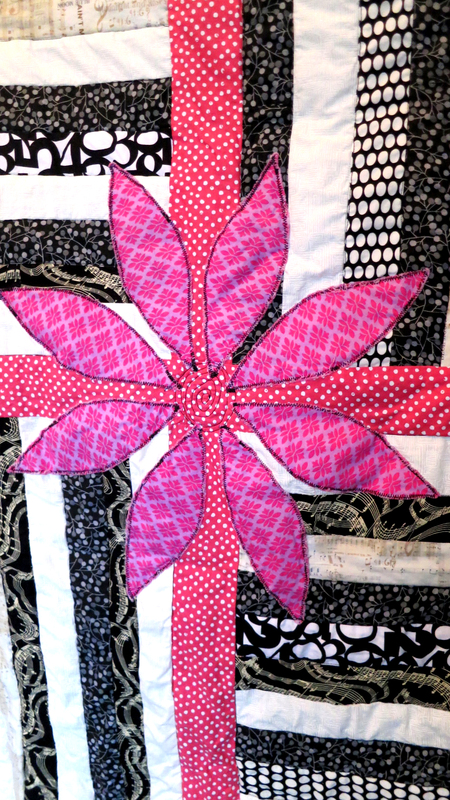 The applique flower, needed a little something, so I added that stitched swirl. It makes me want to add more stitched detail somewhere… but where? 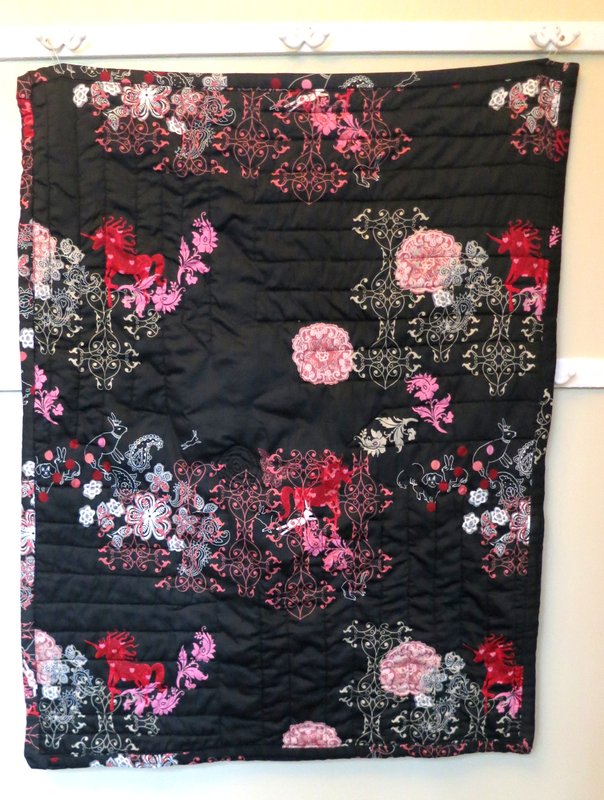 And the back is part of an IKEA duvet cover I got from AS IS for $10. It couldn’t be more perfect for a baby girl! 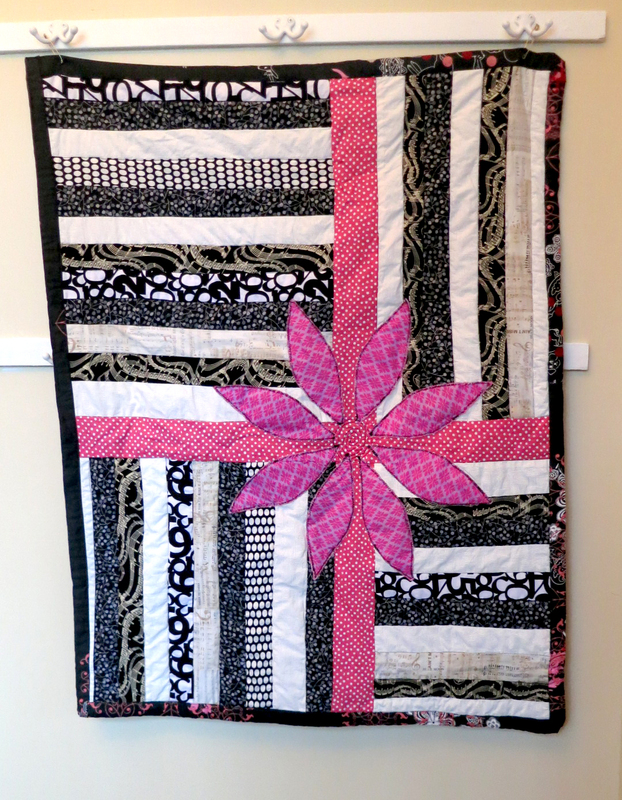 Yes, this darn quilt is a rhombus. How I did it, I don’t know. I trimmed at right angles! I Swear! You don’t notice at all until you hang it… Maybe I will blame it on the new hooks, they must be off… right?